Marketing is a visual medium; and while the talk of the town has been content marketing, content marketing without strong visual cues will not redeem on all of its promises. Visual branding is essential for branding your business, your messaging, and your content. Visual branding associates your business with good feelings, easy-to-remember optics, and, most importantly, emotions. Every brand should have a consistent color palette that translates across all mediums, including print and television. A strong color palette is a key ingredient in brand recognition. Many physicians looking to go it alone with marketing and branding do not realize just how important brand colors are. In fact, the color of your brand can say a lot about your business. Color palettes can tell your audience your brand is playful yet professional, or serious and reliable, or in your face and loud. These colors must remain consistent across every platform, from every image you post via Facebook or Pinterest, to every commercial you run on Youtube and every banner image you produce. Consistency isn’t only key in messaging, it’s key in coloring as well. Just as your color palette must remain consistent to maintain brand credibility, so to must your font. Your brand font reflects your business personality. Is your health care practice geared towards women? Consider a font that is lighter, softer and evokes more emotion. This font that you decide upon must be used in every piece of visual content you produce. Through mediums such as Instagram, filters have become exceedingly popular and can be utilized to increase emotion and set the mood for content marketing. Filters can reinforce your brand’s culture and personality. There are two different formatting issues that you’ll need to recognize and maintain consistent within health care content marketing: image within the blogs and the format of the image itself. For example, every piece of content that you publish should include visual cues that can easily translate over to Pinterest and Facebook. And these visual clues should be implemented in a fashion that is tried and tested and proven to be effective. Formatting templates also apply to images posted directly on social media platforms. Find a format that works, and replicate that format consistently. 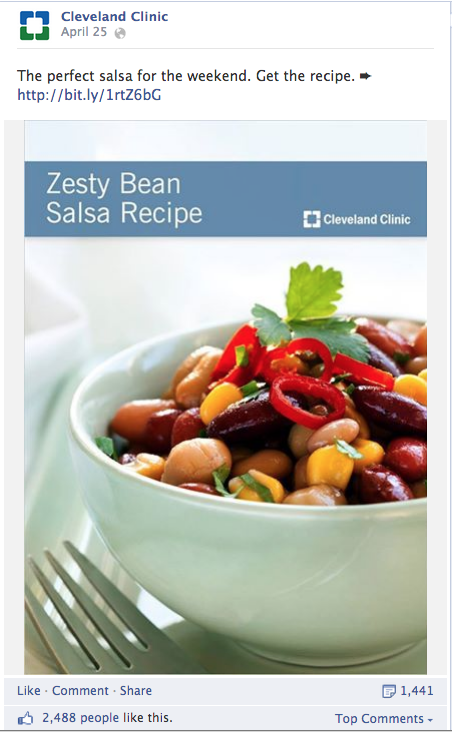 The Cleveland Clinic does a great job of managing this tactic. In health care, patients want something they are comfortable and familiar with. If you can create that sense of comfort and familiarity by consistently adhering to your brand messaging and visual cues, you can build upon all social media relationships and ultimately increase ROI. Confused? Let the professionals at Quaintise help you through it.